Welcome to my February Favourites! February always whizzes past so quickly, although this year we have the extra day! What have you been up to in February? What have you been loving? I thought I would share some of my February Favourites with you! ANYWAY… I’m not here to talk about the past, I’m here to talk about why I’ve been loving Pizza Hut so much this month! It’s simple really… Pizza Hut has Gluten Free accreditation from Coeliac UK, which means… Gluten Free Pizza! February has been a very busy month for Mark & I, we are soon to be moving house, so easy dinners has definitely been high on the agenda. We decided this month to try out Pizza Hut Delivery for the first time. It was really simple to do online & to indicate gluten free. Equally, it was really easy to indicate no cheese (thus making it dairy free for Mark’s pizza). My gluten free pizza was square shaped to indicate it was gluten free, it was delicious. The base was thin and really well coloured; the toppings were plentiful, basically it was a really great gluten free pizza. We ordered Mark’s pizza without cheese & put our own dairy free MozzaRissella on when it arrived. I thought ordering a pizza without cheese would make it weird & lifeless… yet it actually looked amazing even before we added our own! 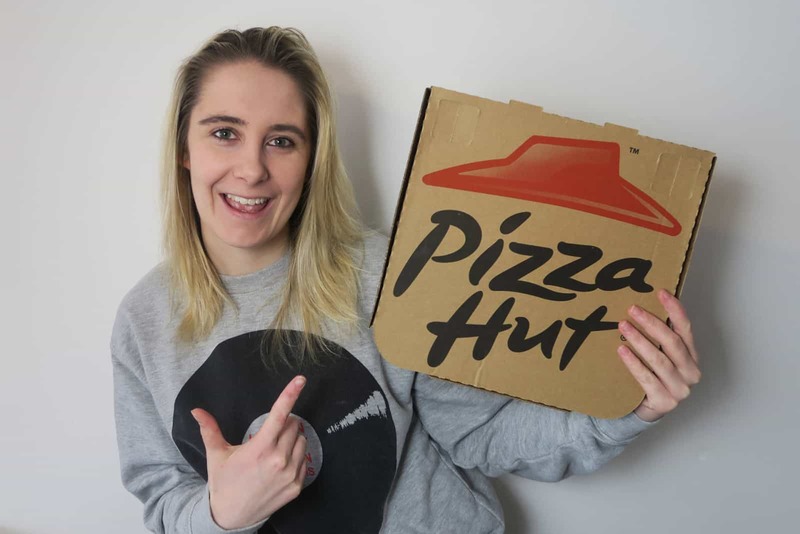 All in all Pizza Hut provided us with an amazing takeaway option this month & I am really looking forward to visiting a Pizza Hut restaurant to eat in very soon. Gluten Free Pizza FTW! I love music. I always have done. I’ve been to more gigs than I can remember, Glastonbury, Reading (numerous times) & a whole host of other festivals. I’ve also worked as press at festivals & interviewed some of my favourite bands… The Cribs, We Are Scientists, Mystery Jets, Bastille, Peace, Blood Red Shoes… so yeah, basically I love music. What I love about music the most however is discovering amazing bands in their infancy & watching them grow. That’s what has happened with me & The Crookes. Where do I start with this programme?! It is simply epic. Though I have heard of it by name for a few years now, I never even knew what it was about until recently. My parents watched it last year and recommended it to Mark & I. We were looking for a new TV series so we gave it a go. It is basically set in America in the 1920’s & revolves around prohibition. It’s got a great story line & has 5 series (so lots of episodes to binge watch!). It’s very old school gangster & has some amazing characters. 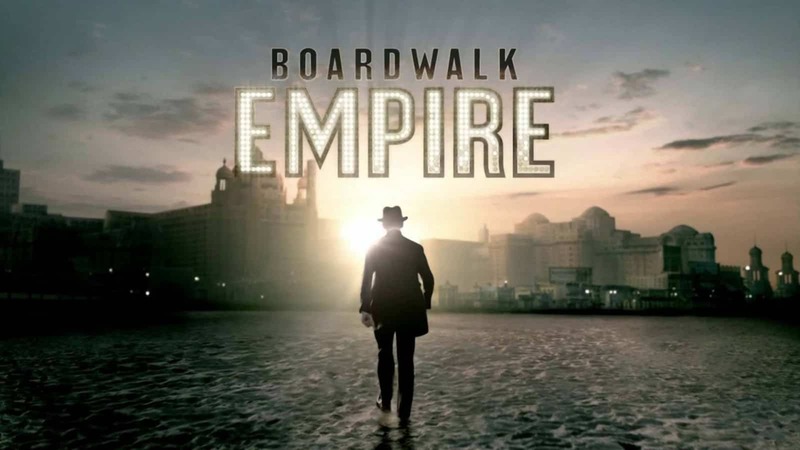 I don’t want to give anything away about this series, but let me put it this way… our favourite part of the day is ‘Boardwalk Time! !’ In terms of how much I love it, I would put it on par with Game of Thrones, Breaking Bad & The Walking Dead. I will definitely be so sad when we finish it… you’ve got to watch it! 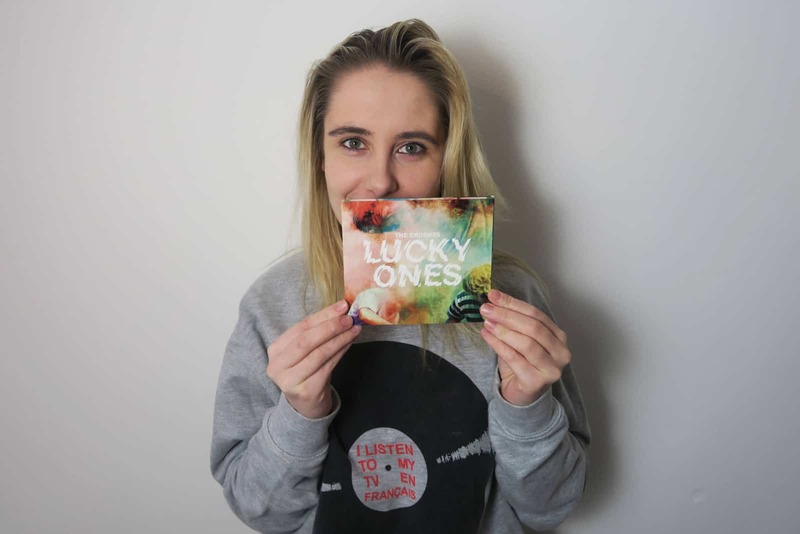 It’s definitely my favourite of all the February Favourites this month! I love being organised. There is nothing that frustrates me more than having stuff everywhere! I can’t concentrate or get work done when I’m sitting in a mess. We don’t have the biggest space where we live right now, so we do tend to end up with a degree of mess however hard we try. I think we own too much stuff! However, for Valentines Day, Mark bought we a couple of bits which I’ve actually wanted for ages. I love the shop Muji. If you have never visited one or checked out their website, you should. Their storage boxes are perfect for desks & dressing tables; I’ve got mine for makeup & jewellery on my dressing table. What makes them great is that they are clear so you can easily see everything. Now I’ve got some items from Muji I think I might become a little obsessed and buy even more! As you will have seen from my musical favourite above… I am a big music fan. Not only listening & watching music however… I enjoy playing music too! Well… kinda! I used to play the violin from about the age of 4 till 16… I don’t really know why I stopped as I got pretty good, I guess life just happened & college/university became more important. 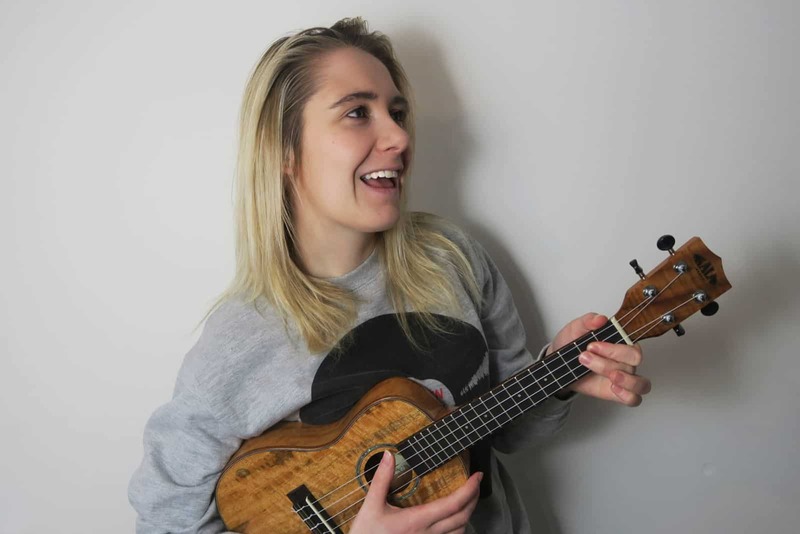 I haven’t really ever got back into playing the violin, I’ve become more fond of the other type of string instruments, like guitars and ukeleles! I am by no means very good at it, I’ve never been taught, never practiced… but Mark can play! So for Valentines Day, I bought him a Ukelele, which I think I love as much as he does. It’s really simple to learn & sounds amazing. We grabbed it from a shop in Manchester called Forsyths… which is another favourite of mine this month. It’s literally the best music shop ever… I even got to play about on £70,000 Grand Pianos! Maybe Mark can play you all a tune some time! Bananas are one of the greatest foods on the planet. They are super delicious, super versatile & super nutritious. 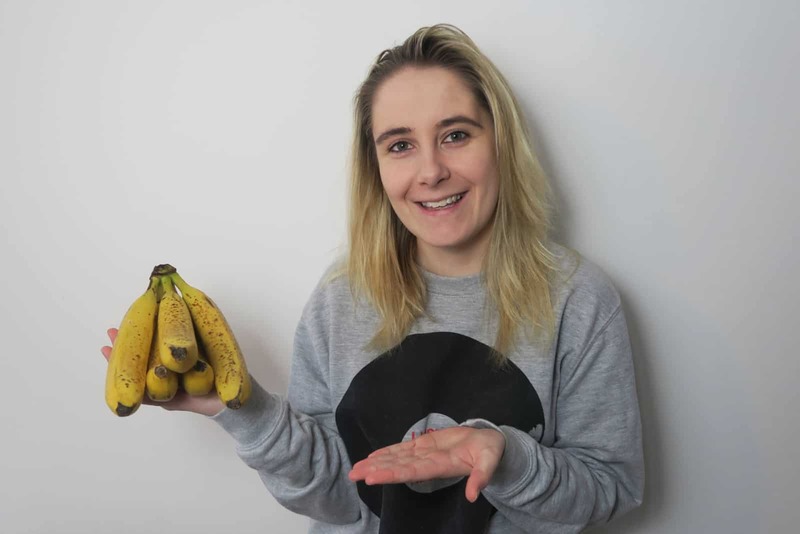 This month I have not only been eating a lot of bananas as a snack whenever I’m peckish, I’ve also been using them in quite a few recipes you might have seen on the channel. My Banana, Coconut & Chia Seed Pancakes have been a massive hit in our household, we’ve been eating them LOTS! Also my Banoffee Pie Slices I created around Valentines Day are filled with banana goodness. Check both recipes out if you’ve got a second! I also love using bananas instead of refined sugar in recipes, they work just as well. You can even use banana as a replacement for egg if you are looking to create vegan bakes! Seriously bananas are the king of the fruit world, I just wish I could grow my own! Damn the British climate! Let me know what your February favourites have been, whether they be a food, drink, TV show, film, book, event, organisation, person, clothing… anything at all! Just drop me a comment below, or on Facebook/Twitter. Thanks for reading & watching my February Favourites & look out for my March favourites!